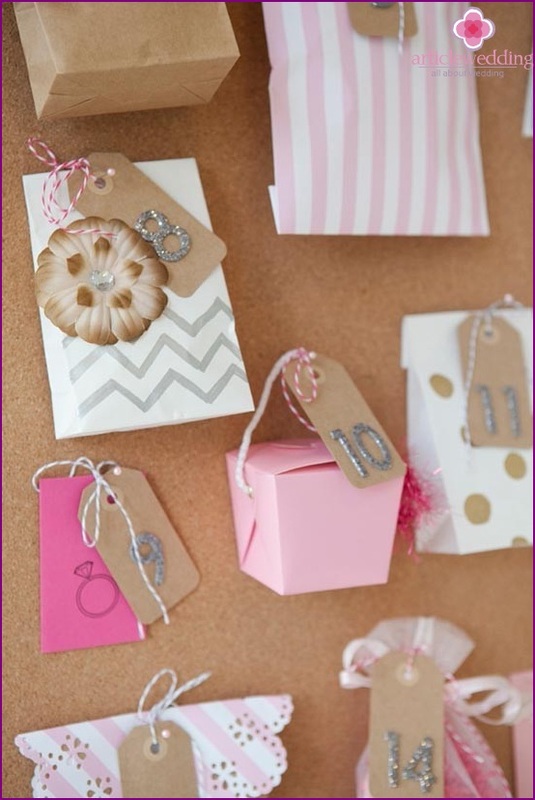 Making gifts - this is always truefun, but why wait for the wedding day, if you can please the bride a few weeks. 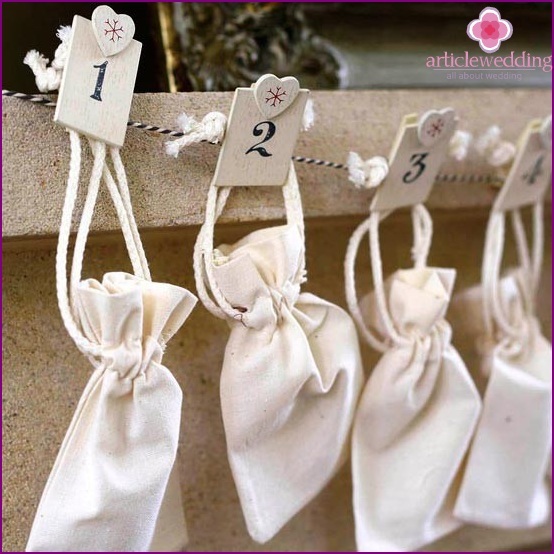 In today's master class at the wedding site www.articlewedding.com bridesmaids will be able to learn how to surprise and please the bride in front of such a responsible day in her life. 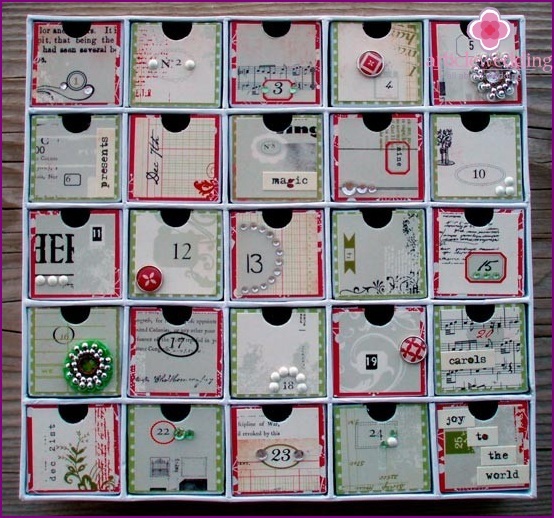 Magic calendar that you can give to the bachelorette party will be every day to please the bride. 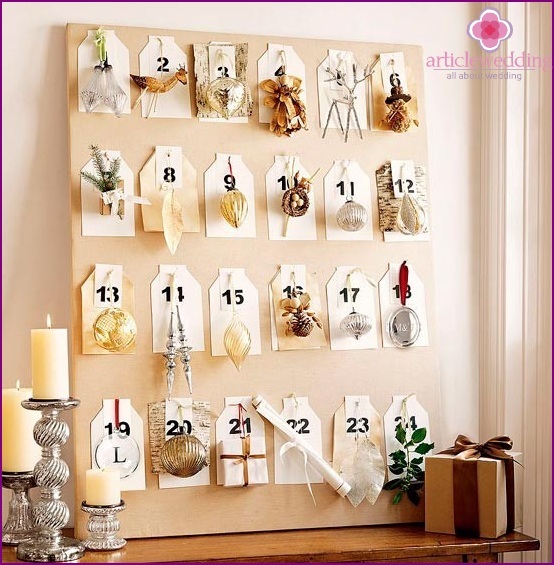 The calendar consists of windows, each of whichhidden surprise. Who does not like surprises, especially every day? 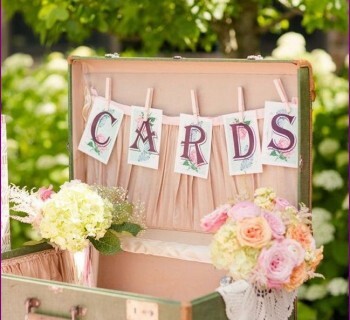 Excitement will go by the wayside, because every day the bride will be in anticipation of what is hidden in the box. Such calendars originally were given to children at Christmas. sweets, candies and pretzels: In each box a variety of sweets were hidden. 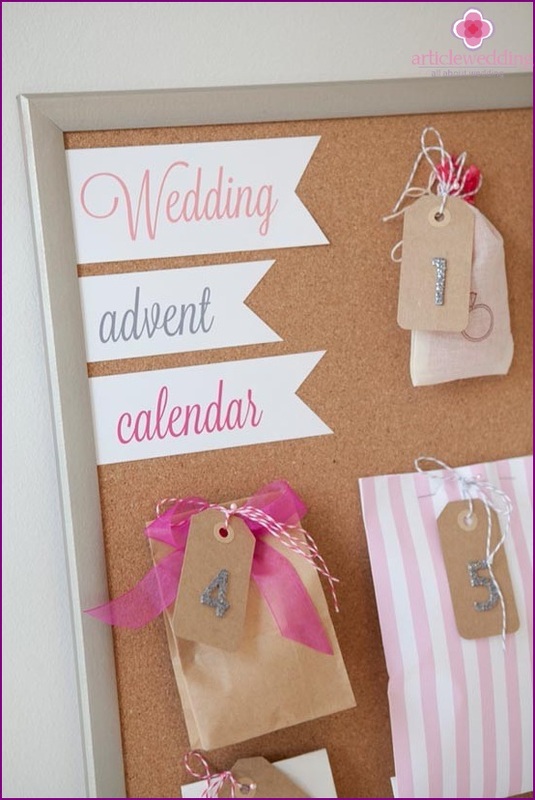 If the wedding is scheduled for the winter months, such a calendar would be more relevant. It is necessary to think of ways that can please the bride. Maybe she loves beautiful romantic underwear, and maybe a sweet tooth and she will be happy to an unlimited number of goodies. 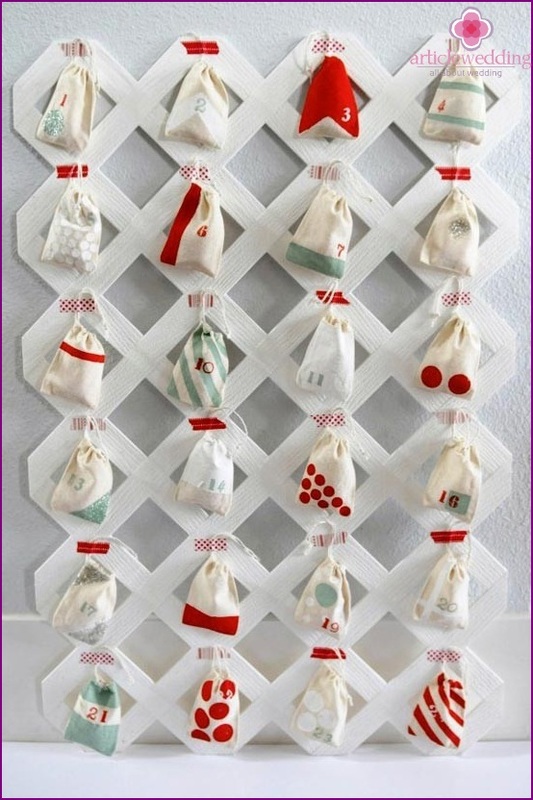 The windows can also be put nail polish or a small shadow. 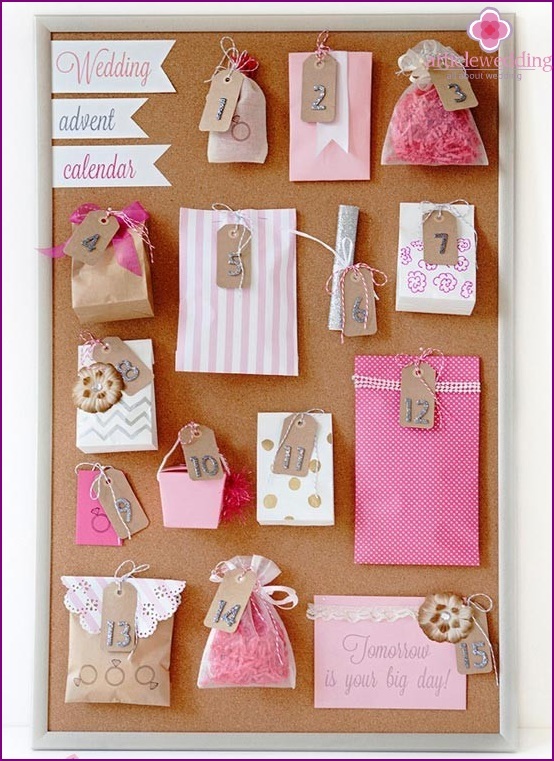 This wonderful calendar to keep track of a child bride and return to a fairy tale. And to make such a gift is easy, especially if the master of his friendly company. stickers in the form of numbers. Sometimes a wedding master class can beso fascinating that you will not only make a nice gift, but also a great time in good company. 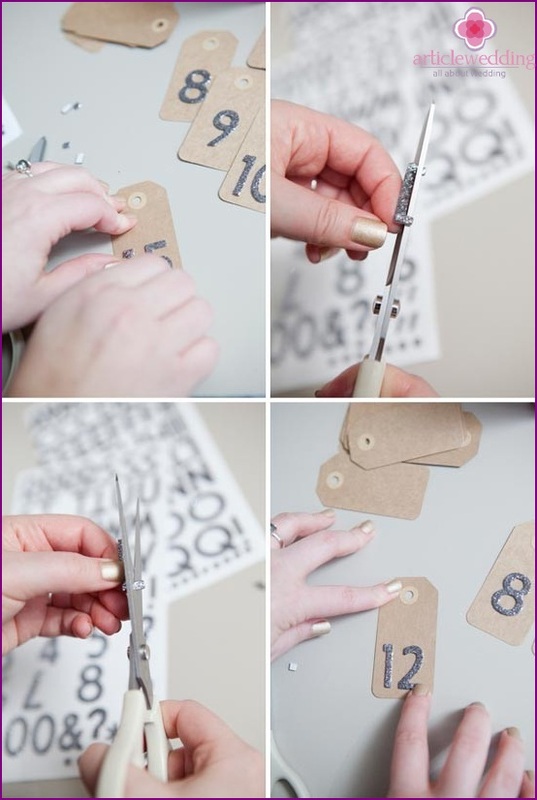 Making wedding calendar - this is a very creative job. 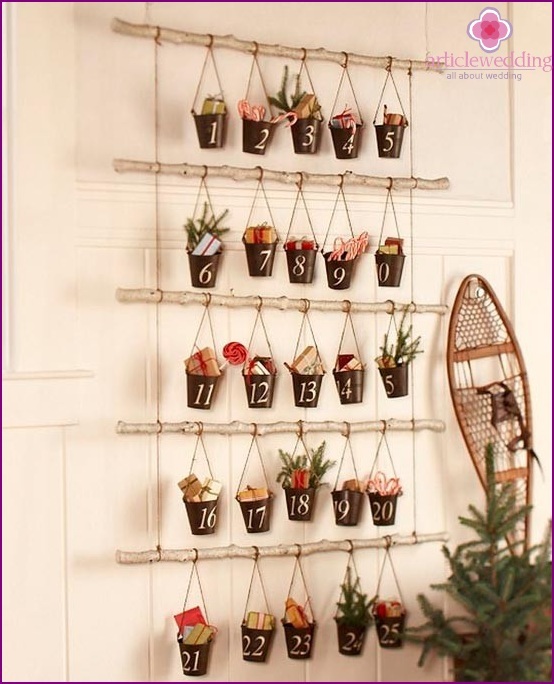 Anyone can come up with the idea gift or decoration. Prepare all materials and gifts, and start tinkering. 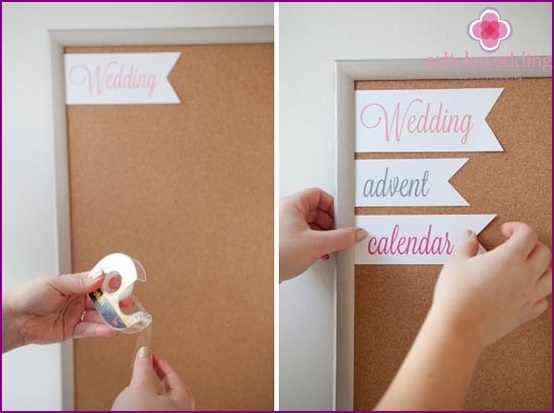 The first step is to print on paper the nameyour calendar and carefully cut out the words. Next, you need to mask the cardboard from the back side of our "pictures". 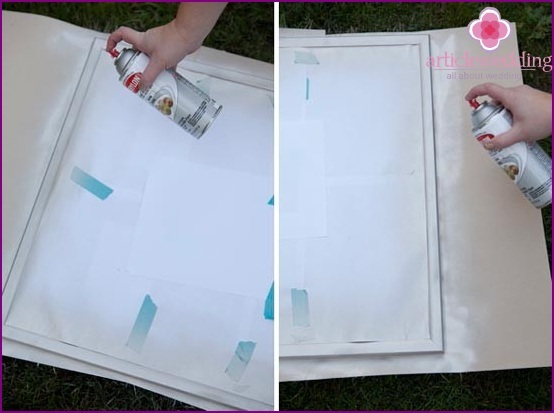 To do this, use the leaves of white paper or a white paint in the can. 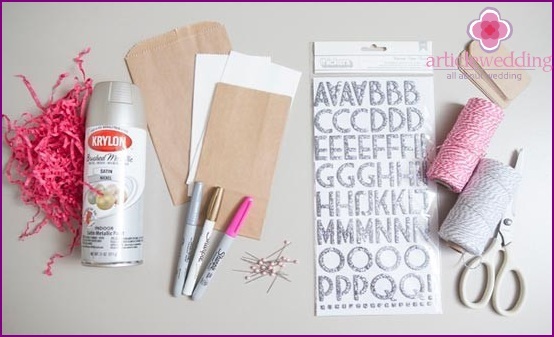 Now you need to decorate the labels. 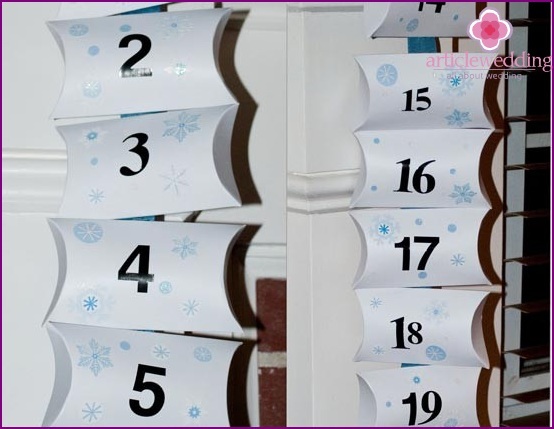 Depending on how many gifts you want to do the calendar, prepare the appropriate number of tabs. Each stick bright shiny number. 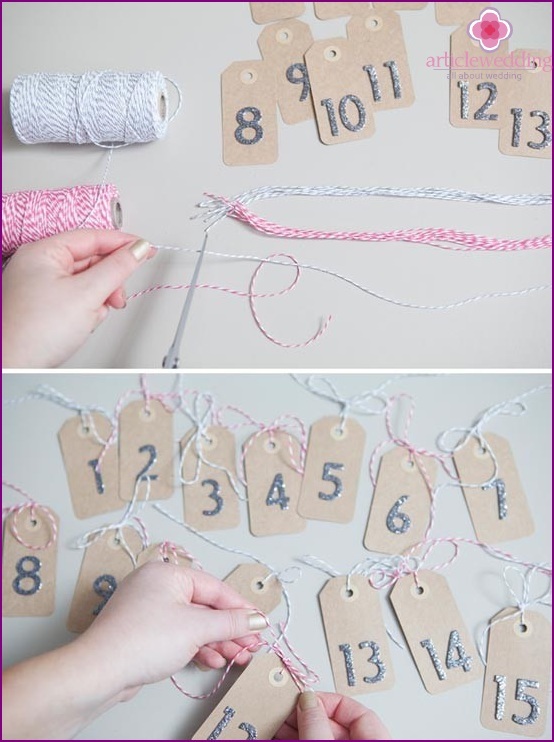 Cut the ribbon or cord and thread it through the holes in the tags. Now is the time to decide on the gifts. Of course, it may be sweets such as candy bars or cookies. 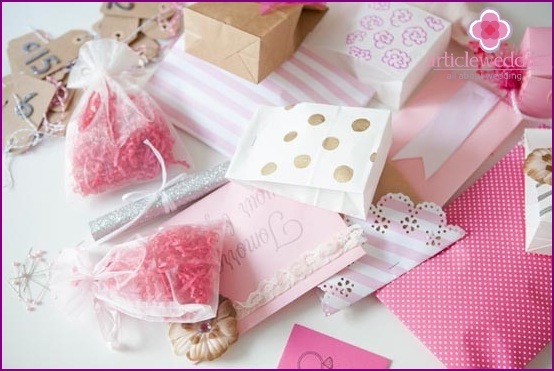 However, you can be more original and beautiful lingerie gift, warm socks, lip gloss and nail polish, face mask and scented candles, pins, chewing gum, and more. 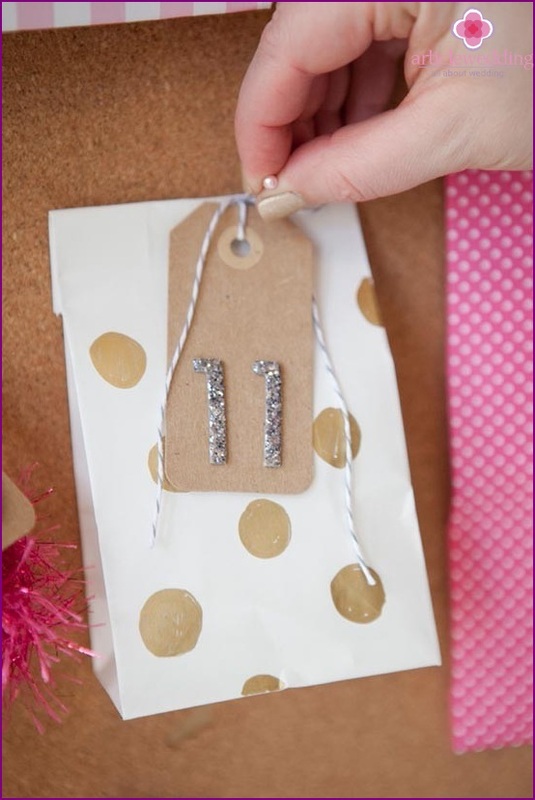 Carefully glue the name of the calendar to the cardboard. Package the gifts in gift packaging. It is best to select different boxes, the composition has turned even more original. 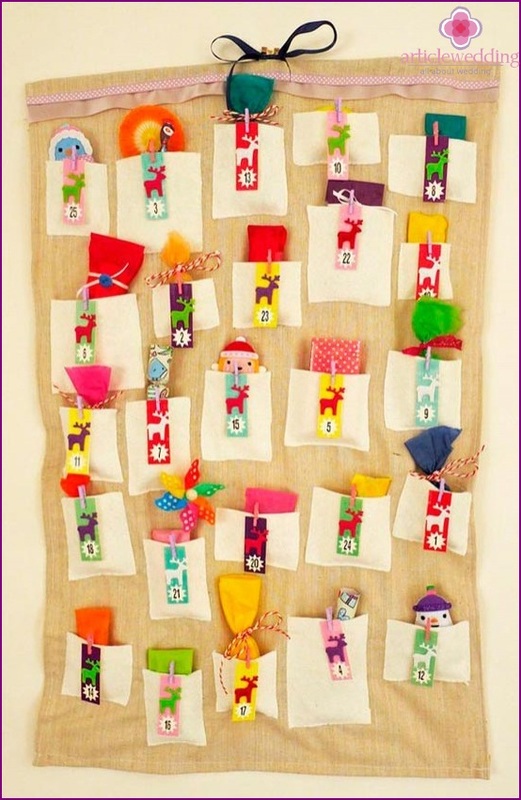 With the help of pins gently attach to the cardboard gifts in ascending order. 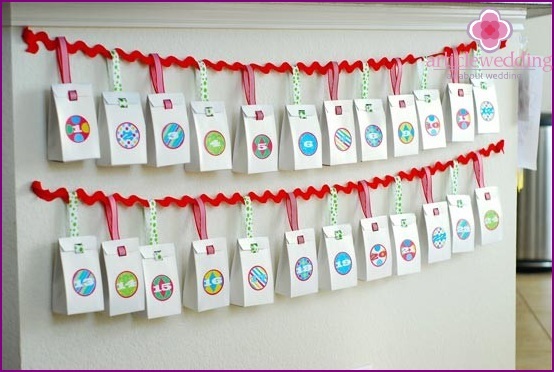 Magic Calendar is ready! The bride will be ecstatic! Luxury calendar will be the most memorable prenuptial surprise or even a wedding gift, since its creation endeavored favorite girlfriend! 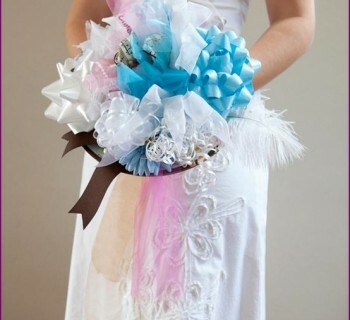 The choice of gifts depends on you, because onlyyou know that the bride loves most. 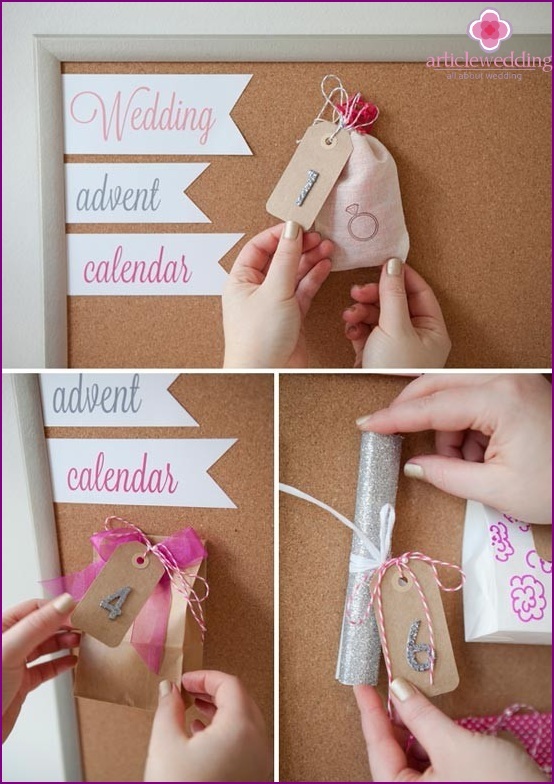 If the wedding is scheduled for the winter, you can safely use the Christmas motifs in your calendar. 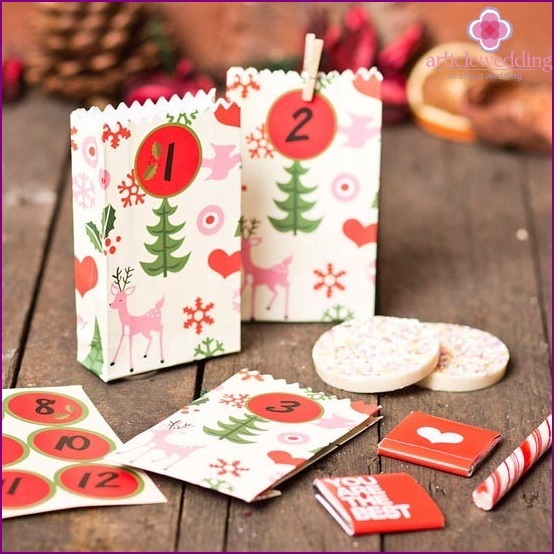 You can make a calendar in any form, using different packaging for gifts - bags, bags, boxes. All sweet and gentle ideal for the creation of such a gift. 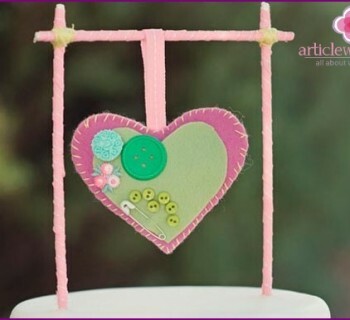 The site www.articlewedding.com you will learn how to spend time and make something original and unique. Difficult choice of pillow or box for wedding rings?